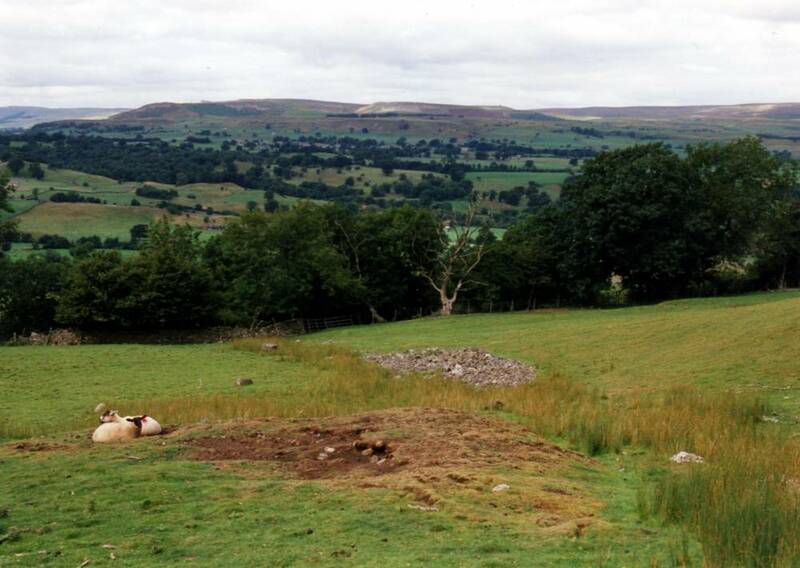 Location Wensleydale. West Burton CP. Pasture below Morpeth Wood. 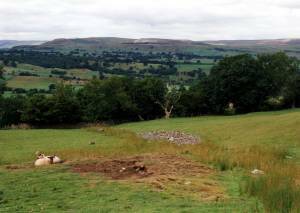 Record Name Lead Bale on Bronze Age Burnt Mound. 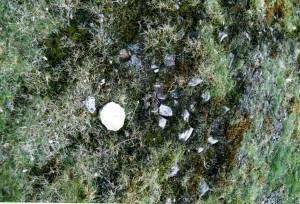 Record Description Lead bale smelting site located on summit of large burnt mound. 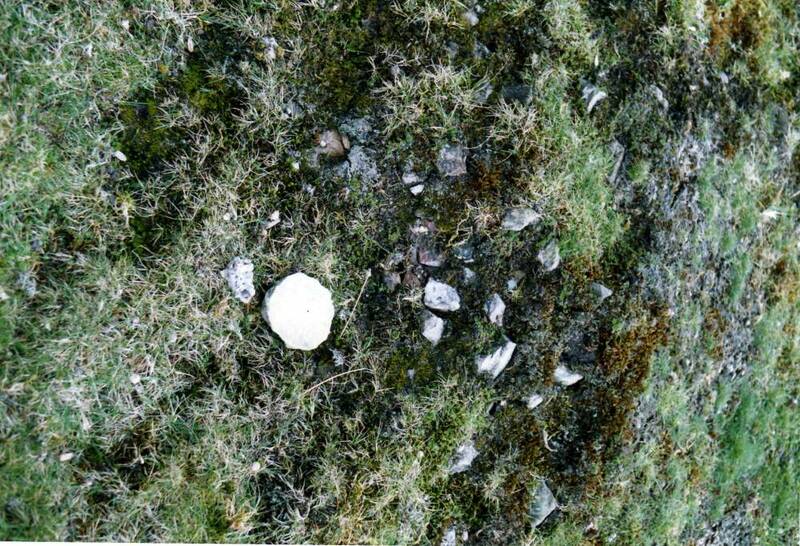 Much visible slag present and also findspot of stone stopper from a medieval ceramic jug. For details of the burnt mound, see Record No 58. Additional Notes This lead bale is approximately 50m above the footpath from Morpeth Gate to the Knights Templars Preceptory and just 1km SW of the Knights Templars Preceptory above Temple Farm. Image 1 Description Lead bale on summit of Bronze Age Burnt Mound. Image 2 Description Stone stopper to medieval ceramic jug and detail of burnt stone mound.